A 2- to 3-foot, bushy, deep green leaved member of the orange family, the Calamondin has the distinction of blooming several times a year, even when indoors, and filling the house with its fragrant, orange blossom perfume! An added bonus are the 1-inch fruits, which hold attractively on the tree for a year after forming, and can then be used as a tart flavor enhancer for fish or meats, or to make a popular marmalade. And if all of that has not yet convinced you of its merits, the Calamondin tree can be easily started from seed, thereby saving you the usual plant nursery price of $30 to $60. The fruits can be found at an Asian market. Avoid cutting the fruit with a sharp knife, as it may cut the seed. Instead, tear the outer rind off the fruit, and find the small seeds with your fingers. They are ready to plant after they are washed. Create a greenhouse using a 1-gallon pot, good potting soil, and a grocery produce bag (the kind used to carry veggies). Fill the pot with soil, about 2 inches from the top. Wet the soil well, until you see water dripping out the bottom of the pot. Plant your seeds about 1 inch deep. Cover them well and press the soil down over the seeds. Pull the produce bag over the top of your pot and secure it with a large rubber band or small bungee cord. Put your greenhouse in a warm area indoors and wait for germination in about two weeks. The beauty of your greenhouse is that it probably won't even need any more water at all. Move your greenhouse to an area with a south or east exposure for light once the seeds have sprouted. Remove the produce bag from the top of your pot, once your seedlings have two or three leaves each. Don't over water them; let them get fairly dry between waterings, and then water well again. Don't worry about fertilizer or any other plant needs while they are small plants. Once the outdoor temps rise above 60 degrees F on average, you can even put your pot outside, but follow the "acclimation" directions (below) if you do. Re-pot seedlings that have grown to 6 or 8 inches tall. You'll need a separate 1-gallon pot for each seedling. Fill each with potting soil. Remove the seedlings from their original pot and transfer each to a new pot. Try to plant at the same depth as in the original pot - water well. Put them back in their south or east indoor locations, or move them outdoors. Move them outdoors when the weather is right. When all danger of frost is over, you can move them out for the summer. Even more important than their temperature acclimation will be their acclimation to sunlight, so be careful. Find an area outdoors that is completely shaded, and move your plants there for their first two weeks outdoors, After that time, you can, and should, move them to a sunny area where they'll spend the rest of the summer. When time comes to move them back inside, reverse this procedure. Re-pot the plants when they reach maturity. Since this will be the last pot they need, get a nice decorative one appropriate for a 2- to 3-foot plant. 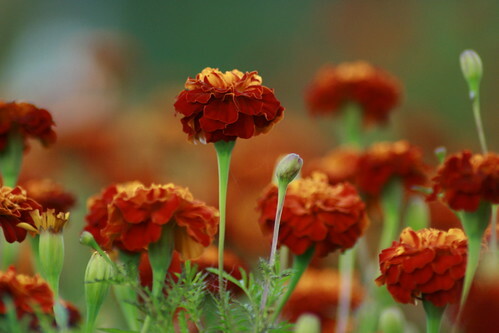 Their fertilizer (an "acid" type) needs are not heavy, maybe lightly each two to three months in summer, and once or twice when they're indoors. Bugs should not be a problem, with the exception of spider mites, which are unlikely if you mist the plant while it's indoors once a week.